The Scottish band put on a quintessential rock concert – a little glam, a little grunge, very British. 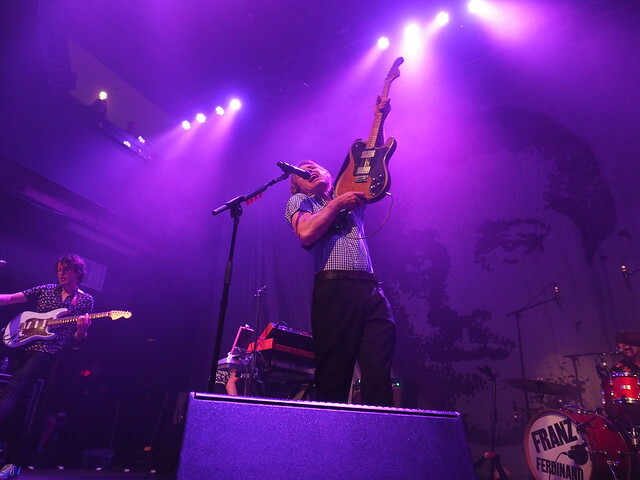 Britt noted how they would be a great festival band, with frontman Alex Kapranos reminding her of a personality similar to Matt Shultz/Cage The Elephant. The band’s character mainly came from Kapranos, which is a traditional rock band thing that we tend to love (like CTE and The Struts, for example). I didn’t realize all that, so major props (and a cheers) boys. View the rest of our photos on Flickr by clicking the album below!